I found a great many scaly-looking firefly larvae around my house this year and attempted to raise them. Apparently it worked; I saw no pupae, only two adults like this one. 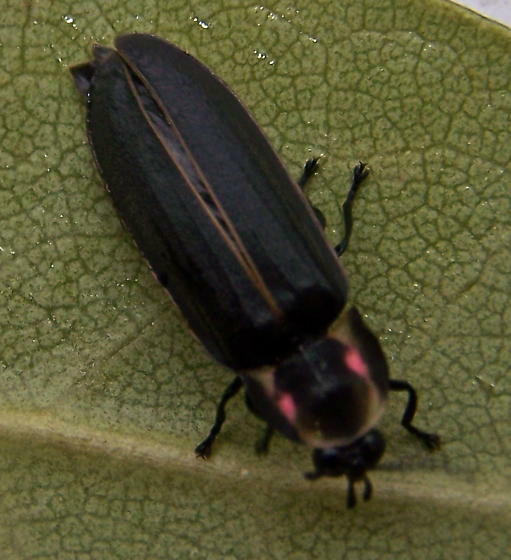 Finally, a firefly that glows; all I can usually find around here is Ellychinia corrusca and Lucidota atra!